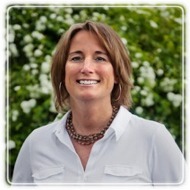 Minnetrista Therapist: Kippie Palesch - Therapist 55359. Send A Message To Kippie. I also specialize in Couples Counseling. Working together, we develop intimate connection and healthy interaction while experiencing personal growth. Issues include communication, anger and resentment, emotional and sexual intimacy, infidelity, parenting conflict and blended family issues. Helping clients tap into their inner strength and set meaningful goals, I consider it my purpose as a counselor to help you learn to trust yourself, live fully in the moment as well as develop meaningful, healthy relationships. I strongly believe that connected relationships are key to our physical and mental wellbeing! Using a warm, creative approach, I provide a safe, healing environment for clients who are processing difficult issues. In addition to traditional in-office therapy, I also offer equine-assisted psychotherapy. Unique to my practice, I offer both from the stable on our 23 acre farm. Passionate about incorporating animals into the healing process, I believe that horses have the potential to influence people in powerful ways. Through this experiential, "feet on the ground" therapy, a natural opportunity is created to overcome fear, anxiety, depression, and addiction as well as a variety of other mental health and behavioral issues. Working alongside a horse creates confidence, provides insight into our own behaviors, builds relationship skills and offers new strategies when dealing with other intimidating and challenging situations in life. Having raised four children, I now find time to enjoy many activities including sailing, horseback riding, yoga, travel, cooking, reading and watching documentaries. My four horses, golden retriever, yorkie-poodle, hound dog and orange tabby cat are also a great source of joy for me. I look forward to learning where your passions lie and what bring you great happiness in life!